A top three closer returned from a lengthy suspension for the Yankees, and you know him by Aroldis Chapman. The left-hander notched his first save of the season, after allowing a run in his 2016 debut appearance. He has three strikeouts in two innings, and despite knocking Andrew Miller down a notch, he should still be owned. To touch on last week's notes, Zach Britton has pitched four perfect innings, with two strikeouts. He looks in control, and has picked up the first two saves in the Detroit series. Brad Boxberger is on his way back to the closer role for the Tampa Bay Rays, but Alex Colome should still be kept in the wings. Boxberger will need to prove he is healthy and efficient before I go dropping Colome. The temporary closer has picked up four strikeouts and one save since the last time I reported to you, and continues to be electric in the ninth. If you are in a holds league, he will be relevant regardless of what happens. The Angels bullpen situation isn't giving us a ton of fantasy value, as Huston Street sits on the DL. 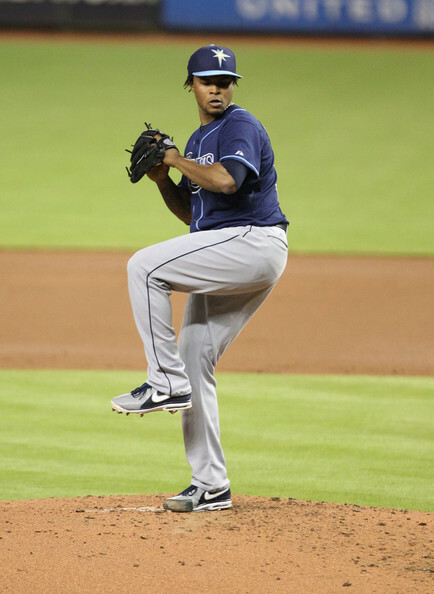 Joe Smith had a shaky outing against Tampa Bay on the 7th, allowing two earned, and taking the loss. Smith is not suited for a closer role, with a low strikeout rate, and a 4.91 FIP on the season. Fernando Salas picked up the save yesterday, and does possess a slightly higher K% than Smith. He isn't anything special, but has been far less erratic than Smith this season. Cincinnati's situation continues to be a disaster. One they are not winning games, and second they have zero reliable arms on the backend of the bullpen. Tony Cingrani is slotted in as the arm to grab, but it does come with a cost. He has a 4.17 FIP on the season, and a 14.5% walk rate. He has converted two saves in the last four outings, but has also allowed five base runners in that span, and one home run. If you want to keep an eye on a deep candidate to come back and get an opportunity if Cingrani falters, it is Jumbo Diaz. He has pitched well since being demoted, but obviously the minors is a different animal. Minnesota has a big time problem as Glen Perkins is trying to get back from injury. Kevin Jepsen has allowed three earned runs over the two outings, and has a horrendous 4.95 FIP on the season. He doesn't have strikeout potential, sitting at just a 13.3% rate. Paul Molitor has confirmed that he will stay the team's closer for the meantime. Texas boasts the second worst bullpen ERA at the moment, and the backend is quite concerning. Shawn Tolleson does have 11 saves on the season, but also a 5.40 ERA to go with a 4.20 FIP. He has had two rocky outings in the last four appearances. His swinging strike rate is down about 3% from his career norm, which is concerning. Sam Dyson behind him isn't doing much better, so his job is somewhat safe for the meantime. Jake Diekman has had some rocky outings, but does boast a 33.3% strikeout rate this season, and eight holds.